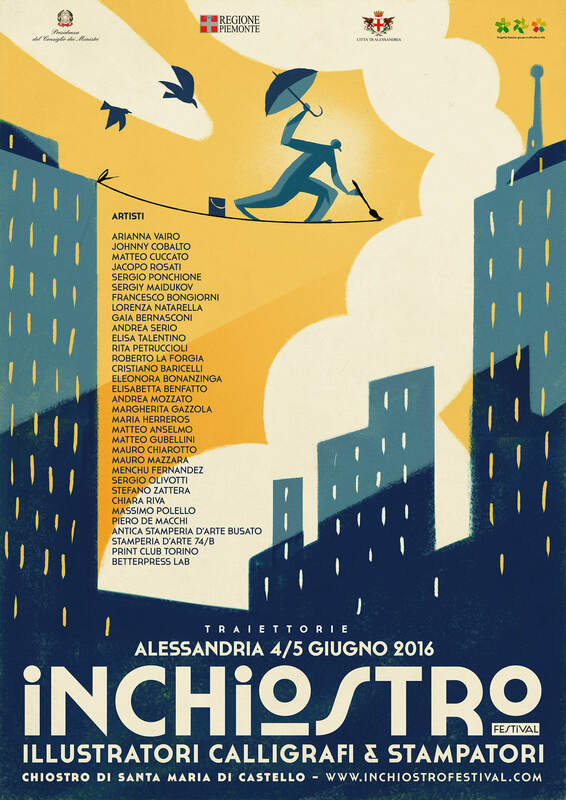 Inchiostro Festival is a performative cultural event which takes place every year on the first weekend of June. Over a few days, illustrators, calligraphers and art printers are hosted in a beautiful twelfth-century cloister, creating a residential workshop of true artistic excellence. 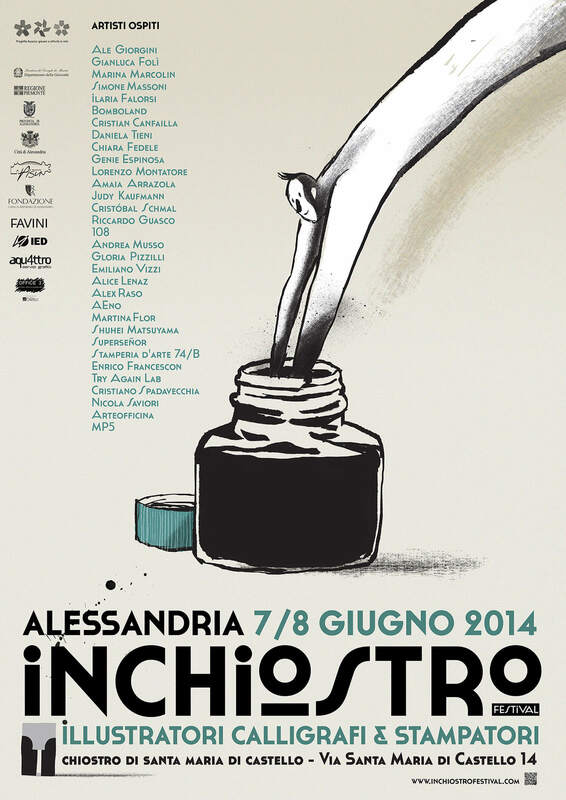 The colour scheme for the festival is black-and-white, in all shades. 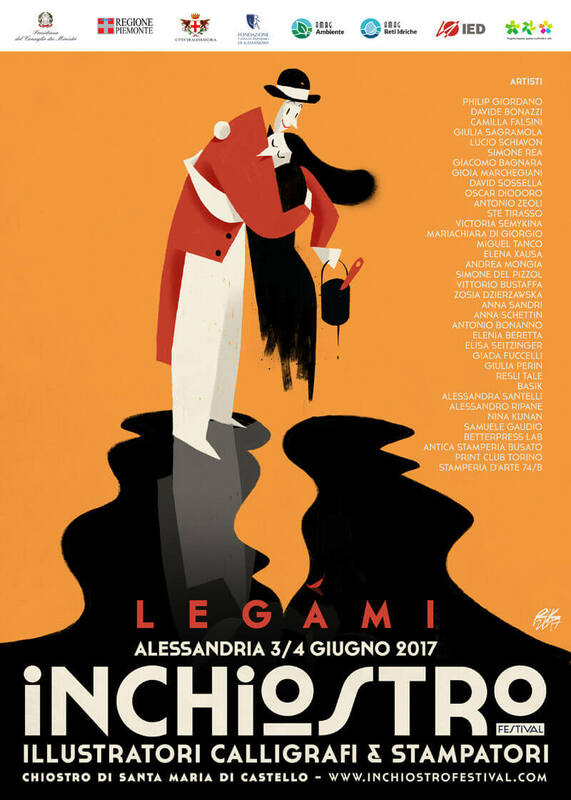 Each year the Organising Committee selects a theme for the festival, an inspirational word analysed in a written abstract explaining the origin of the choice and providing stimuli. 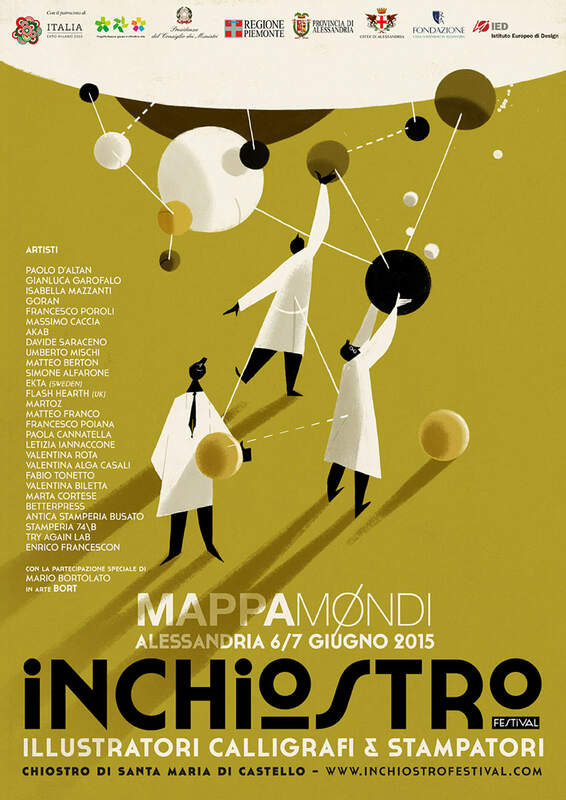 The event is organised by Progetto Associa, a committee comprising local associations and citizens, with the support of volunteers, informal groups, professionals and companies who work as partners. 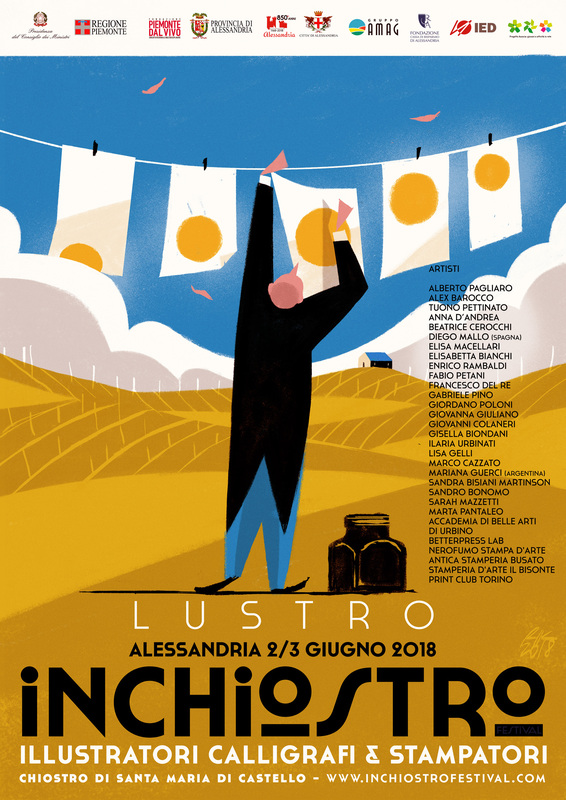 The artists are housed in a medieval cloister in Alessandria where they work, rest, exchange ideas, perform and engage festival-goers in workshops and shows throughout the weekend. 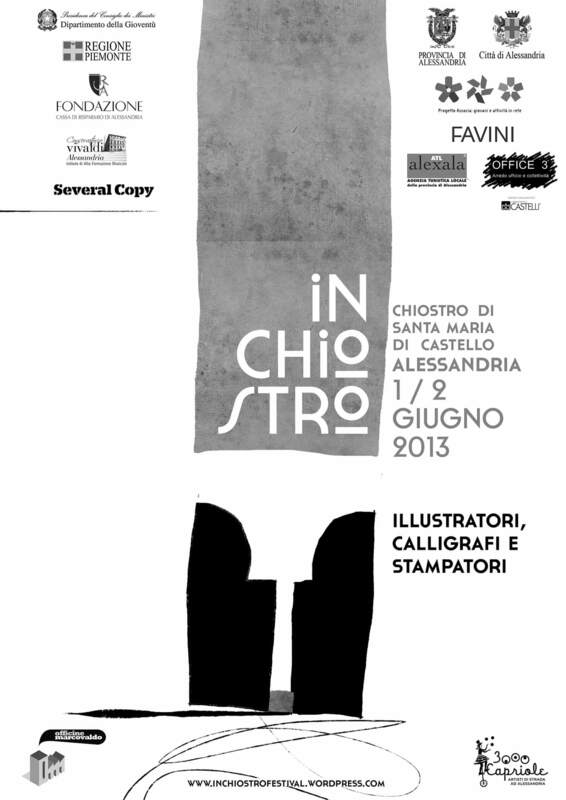 The highlight comes on Saturday night, when the shows and live performances culminate in the much-awaited “Battle of the Illustrators”, a format devised by the bright minds at Inchiostro Festival. Our goal is to promote manual-dexterity in the most well-known form of craftsmanship, paper and ink, and all the various printing techniques. Visitors strolling along the covered walkways around the cloister can witness the entire creative process.